A wireless solution to your D-Pad woes. Looking for a way to use your GameCube controller on the go with Super Smash Bros. Ultimate? 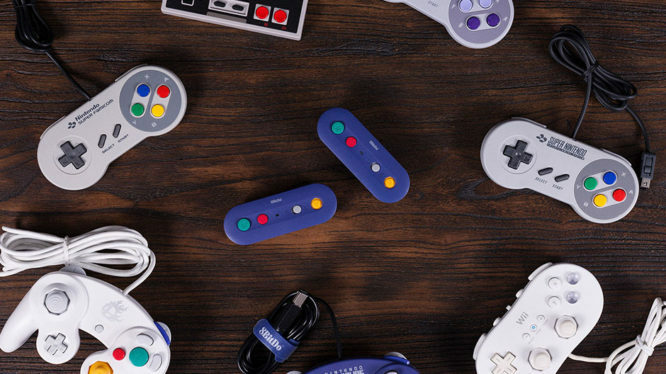 8BitDo might just have the solution for you. 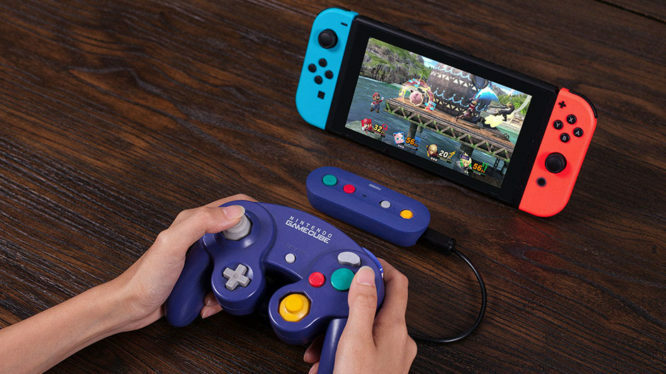 The company best known for their stylish 3rd Party Nintendo Controllers is set to release a wireless adapter for Nintendo Switch that allows you to use GameCube, NES/SNES Classic and Wii Classic controllers even in tabletop mode. According to 8BitDo the GBros. Wireless Adapter for Switch connects to your Switch via Bluetooth “like a Wiimote.” The adapter also features home and screenshot buttons, allowing you to use any of these controllers to operate your Switch without interruption. PC gamers have the added bonus of a toggle that allows you to connect your controllers to X-input capable software on Windows devices and supports Turbo functionality. For players concerned that the adapter will lead to input lag during games of Smash or tight platforming segments, 8BitDo promises the device is Lag free under the devices “Special Features.” If 8BitDo’s claims are true, the device could serve as a viable alternative to Hori’s D-Pad JoyCon if you’re looking for an alternative to the Switch Pro Controller’s notoriously dodgy D-Pad. The GBros. Wireless Adapter for Nintendo Switch releases alongside Super Smash Bros. Ultimate on Dec. 7 and is priced at $19.99.